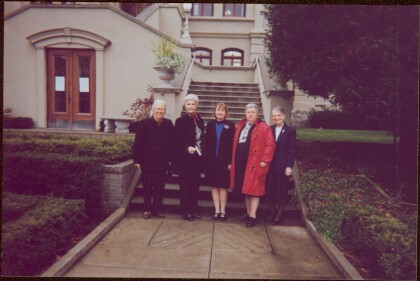 Photograph believed to have been taken at Government House, Victoria, B.C. Doorways and landscaping in background. Item is part of The Honourable Iona Campagnolo fonds. See also item 2009.6.1.653 for image featuring similar content.